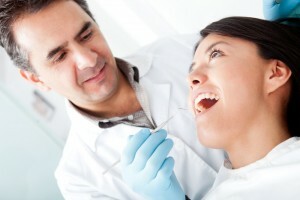 When most people consider the topic of good oral hygiene, the first thing they think about is teeth. You brush and floss your teeth to keep them white and cavity-free, but how much do you think about your gums? Often overlooked, the importance of healthy gums goes beyond the matter of a pretty smile. In fact, gums that are allowed to become infected can actually make you seriously ill. While the initial effects of gingivitis and periodontitis are severe enough on their own – bleeding gums, inflammation, redness and eventual tooth loss, to name a few – the complications of untreated gum disease can be far more serious. When the bacteria from infected gums is inhaled or released into the bloodstream, it can travel throughout the body, wreaking havoc on other organs and tissues. The most common systemic complications associated with periodontal disease are coronary artery disease, respiratory issues, diabetes and arthritis. In addition to addressing the gum disease itself, patients must take special care to treat any other conditions that arise because of it. Some problems associated with chronic periodontal disease affect not only the individual patient, but others as well. Pregnant women with gum disease, for example, are significantly more likely to give birth to underweight babies. Infants who begin life at a low birth weight can suffer from a number of potentially serious complications, including respiratory distress shortly after birth. This is why proper oral health care is so crucial for women, especially when they are pregnant. If your gums bleed when you brush your teeth or show any signs of redness and swelling, it’s time to see your dentist for periodontal treatment. In most cases, the damage caused by plaque and tartar buildup can be reversed with consistent professional care. Talk to your oral care professional to find out how you can protect yourself and lower your risk of serious infection and illness associated with gum disease. Next Next post: Treat Your Smile This Valentine’s Day!